Twotwothree looks to build on promising handicap debut. We have one runner at both Ludlow and Market Rasen on Thursday. Blue Ballerina is back on the track in the opening race on Ludlows card after running in the unfortunate void race at Haydock 2 weeks ago. This again looks a hot contest and she looks like she will be more in her comfort zone when able to contest mares handicaps. Dave England knows her well and takes the ride. 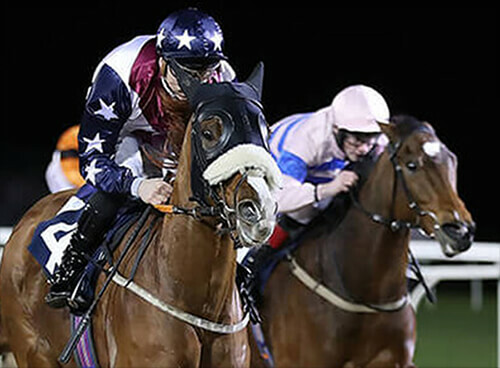 Twotwothree is set to make his 2nd start in handicap company in the 1:35 at Market Rasen today after a promising handicap debut at Wetherby last time. He has come out of the race very well and this looks slightly less competitive than Wetherby so he should have a big chance! Ross Turner 6lb claim will come in very handy.